CPCC Turfgrass graduates (below), were part of the team responsible for ensuring Bank of America’s field was ready for the NFC Championship game between the Carolina Panthers and the Arizona Cardinals on Jan. 24. 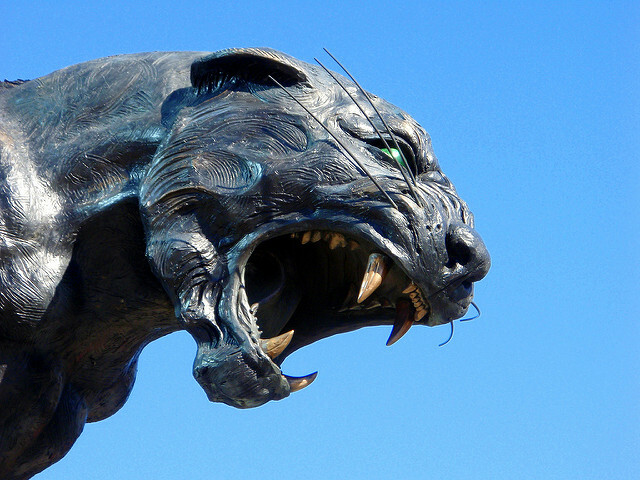 The grounds crew’s hard work paid off; the Panthers won the game and are now heading to Super Bowl 50! Congrats to our grads! 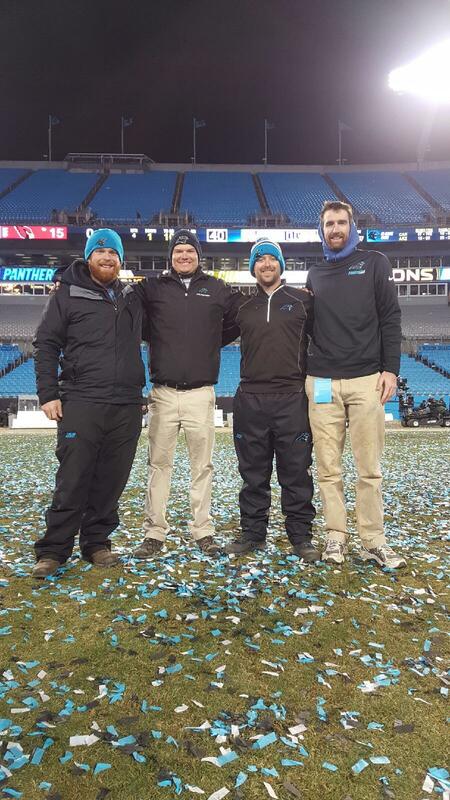 CPCC Turfgrass grads following the Panthers' win over the Cardinals in the NFC Championship game in Bank of America Stadium.